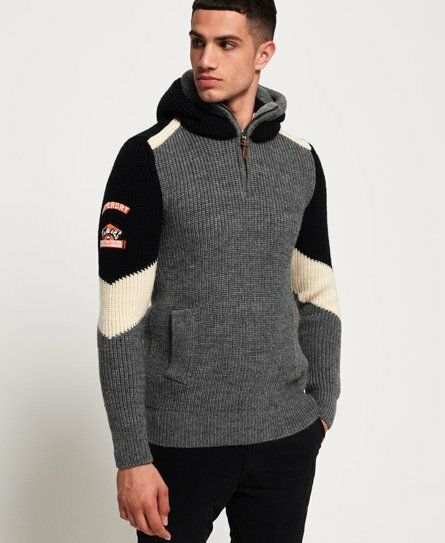 Superdry men’s Super Ski Chevron hoodie. This luxuriously soft knit hoodie features a zip fastened collar, fleece lined hood and two front pockets. The Super Ski chevron hoodie is finished with colour block panelling on sleeves and back, and Superdry logo badges on one sleeve. Pair with jeans and your favourite winter boots for a casual yet stylish look.